Knesset committee approves act declaring publicizing details about Mossad agents to be a criminal offense. The Knesset's Foreign Affairs and Defense Committee headed by MK Avi Dichter (Likud) on Thursday unanimously approved legislation punishing the release of top secret information about Mossad's workers. Mossad, or "Institute" is short for the "Institute for Intelligence and Special Operations." 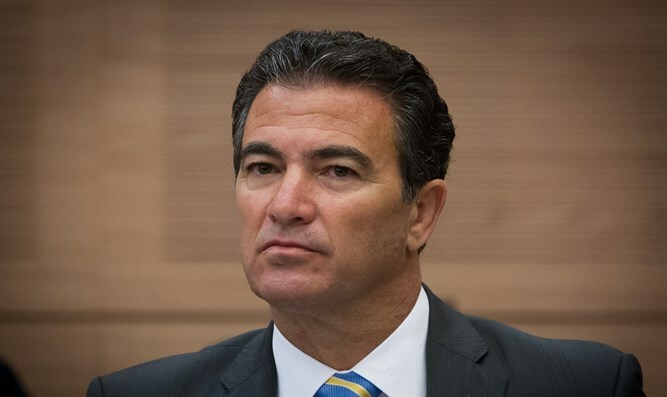 Personal details which allow Mossad workers or their families to be identified will be considered confidential from the moment that the act passes. In addition, the act declares that the identification of facilities and infrastructure used in the Mossad will be top secret. Accessing, gathering, preparing, recording, maintaining, or passing identifying information of these types will violate this act and become an offense punishable by prison. Until now, only information which had been actively censored was considered secret. The new act does, however, include two exceptions: 1) The name of a Mossad chief, either past or present, will not be considered secret; 2) The Mossad chief, or the military censor he speaks with, can decide certain cases are not secret. An emphasis was placed on former Mossad workers, and whether they can introduce themselves to others or mention their work in Mossad on their CVs. The Mossad's legal adviser told Committee members that they were preparing regulations and criteria to allow former Mossad workers to mention their work in Mossad under certain conditions. According to Dichter, the Committee will not insist these procedures be approved, but will insist on studying them within the next six months. Meanwhile, the Mossad placed an emphasis not only on former employees but also on those who have business, public, or private relationships, or represent former Mossad agents, in an effort to help these advance. After this was clarified, the punishment act was unanimously approved. In June, Mossad announced that it would invest millions in Israeli startups.